In Courtroom 1 from Monday 31 October Lords Hope, Walker, Clarke, Dyson and Collins will hear Lehman Brothers International v CRC Credit Fund Limited and GLC Investments PLC Sub Fund – European Equity Fund over four days. This appeal from the Court of Appeal (Civil Division) arises from the administration of Lehman Brothers International (Europe) and concerns the ownership of a pool of client funds that are subject to a statutory trust. Here are the Supreme Court case details. On Friday 4 November the matter of Secretary of State for Work and Pensions v Payne & Anor will be heard in Courtroom 2 by Lady Hale and Lords Brown, Mance, Kerr and Wilson. The respondents, in receipt of social security benefit entitlements, had obtained Debt Relief Orders under Part 7A of the Insolvency Act 1986 staying enforcement of debts by creditors for a one year “moratorium” period and issued proceedings challenging the deductions made to their benefit entitlements by the Secretary of State after the onset of this period. This appeal from the Court of Appeal (Civil Division) concerns whether the Secretary of State’s power in this instance ceases to be available when the benefit recipient becomes subject to a Debt Relief Order and the overpayment of a Social Fund loan is specified as a debt within the order. The case details are here. On Wednesday 2 November 2011 the Supreme Court will hand down judgment in the following appeals: Rainy Sky S. A. v Kookmin Bank, heard 27 July 2011, and Human Genome Sciences Inc v Eli Lilly and Company, heard 18 – 21 July 2011. 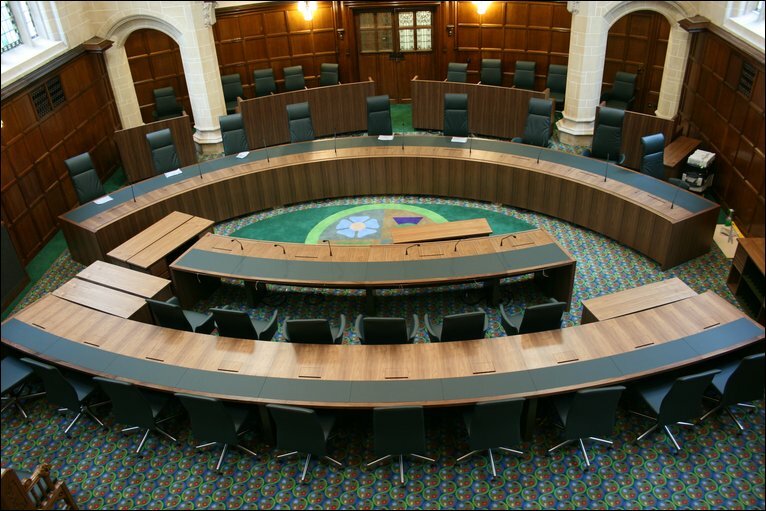 It’s also a busy week in the Privy Council – on Monday 31 October Saint Aubin Limitee v Alain Jean Francois Doger de Speville (Mauritius) will be heard over one day by Lords Phillips, Brown, Mance, Kerr and Wilson. This appeal from the Supreme Court of Mauritius concerns a variation of the respondent’s employment conditions and whether this constitutes constructive dismissal. The case details can be found here. On Tuesday 1 November Lords Hale, Kerr and Wilson will hear Joseph Lennox Holmes v Royal College of Veterinary Surgeons. This one day appeal from the Disciplinary Committee of the Royal College of Veterinary Surgeons concerns whether the hearing before the Disciplinary Committee was procedurally unfair and violated the appellant’s right to a fair trial by an independent and impartial tribunal established by law under the ECHR, art 6. Here are the Privy Council details. There are no judgments to be handed down in the Privy Council this week. Berrisford (FC) v Mexfield Housing Co-operative Ltd, heard 05-06 October 2011. Birnie v HMA, Hodgson v HMA, Jude v HMA, McGowan v B, heard 11-12 Oct 2011. Flood v Times Newspapers, heard 17-18 Oct 2011. JP Morgan Chase Bank N.A. and another v Berliner Verkehrsbetriebe (BVG) Anstalt des Oeffentlichen Rechts, heard 11 November 2010. Russell and others v Transocean International Resources Limited (Scotland), heard 26 – 28 October 2011. 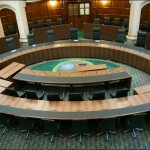 Leave a reply on "In the Supreme Court w/c 31 October 2011"